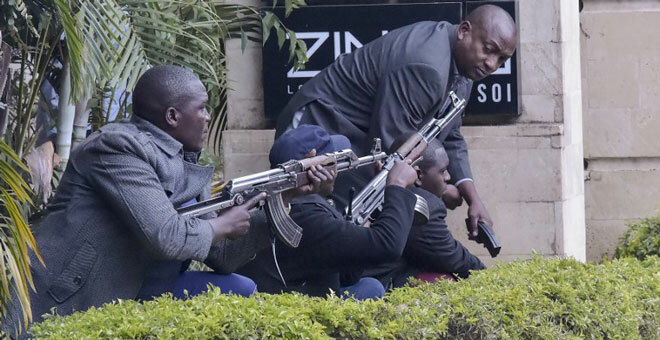 Nairobi, Kenya | AFP | Kenya’s security response to the Islamist assault on the Dusit hotel complex in Nairobi shows the numerous lessons learned since a chaotic intervention when the Westgate mall was attacked in 2013, according to analysts. “It was an operation which appeared well-executed,” said a regional security analyst, requesting anonymity. “From a purely operational point of view, if the toll remains as it is, it is almost a miracle. We know how complicated it is, even with exceptionally well-trained people,” he added, highlighting the tricky layout of the Dusit complex with its numerous buildings and parking lots. 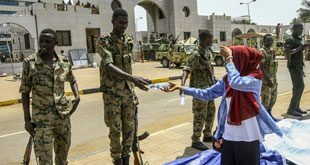 “Across the spectrum, we’ve seen greater seriousness in all aspects of counterterrorism, both prevention and response,” since Westgate, said Matt Bryden, director of the Sahan think-tank in Nairobi. In both cases, it was plainclothes police officers and armed civilians — mostly from the Indian community — who were the first to intervene and help rescue those caught inside. “It was much more efficient, and it seems to have been better co-ordinated and the tactics they employed were better practised, they had better equipment so all in all, a much better performance,” said Bryden. Kenyan security forces managed to neutralise and kill all four gunmen in the Dusit — while a suicide bomber blew himself up earlier — by Wednesday morning after an operation of almost 20 hours. At Westgate it took four days for the attack to be declared over, during which time a police officer was shot dead by a member of the army (KDF) in a friendly fire incident, power struggles raged, and soldiers were found to have looted stores in the mall. The attack left 67 dead. In the five years separating the attacks, Kenya’s security forces were reorganised, elite units were better trained with the help of foreign partners, and a focus was placed on sharing of intelligence. “Before, there was KDF intelligence, the NIS (National Intelligence Service) and at least one other police unit. So there were at least three agencies gathering intelligence but who were not communicating between themselves,” said the security analyst. “Since we know that they have been trying and trying and trying, I think it was inevitable that at some point, they would find a gap,” said Bryden.